I was also fortunate that the outreach office of the institute I worked in at the time, AMBER, agreed to help fund the early events. They took a chance on a crazy idea I brought to them, and it helped the thing get off the ground. Soon conferences like Sci:Com and the Society for Applied Microbiology were asking for Bright Clubs with their events. And now, I am delighted to have Science Foundation Ireland onboard as a sponsor alongside AMBER, which has enabled me to broaden the team of people involved in making Bright Club great. 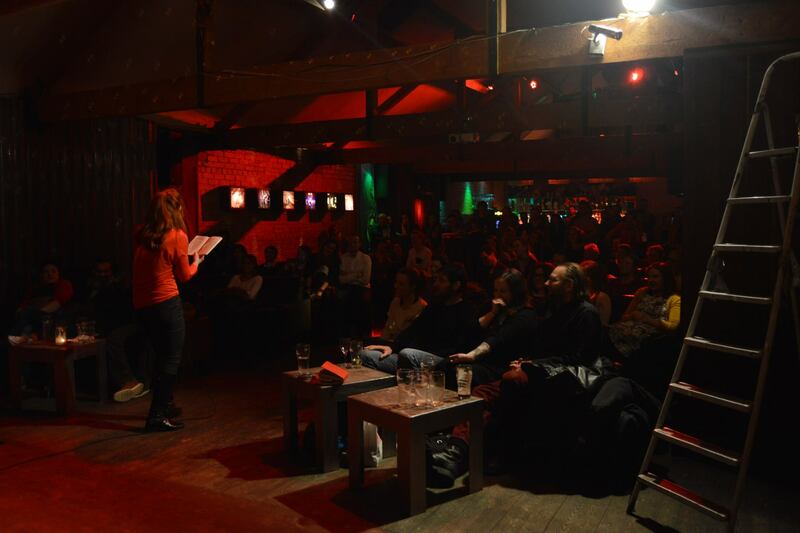 We have run over 30 events across Ireland now, in Dublin, Galway, Cork, Athlone, Monaghan, and anywhere that researchers and comedians are willing to come together with lovely audiences for a great evening of fun. Humour is a great way to engage with complex subjects—how many people watch The Daily Show or Last Week Tonight or Weekly Wipe instead of straight news shows? But the bottom line is, Bright Club is fun to be at and a joy to run. If you’re in Galway, you can swing by our next show on April 5th! And if you’re somewhere else, you can always watch past Bright Club talks on our YouTube channel while waiting for Bright Club to turn up near you.